Quicker out of the blocks is definitely the way forward. And seeing as I am unexpectedly heading home tonight I thought it only fitting to make an extra effort for today's pic. Sometimes you have an idea of what a photograph will look like in advance, but it rarely works out so well. 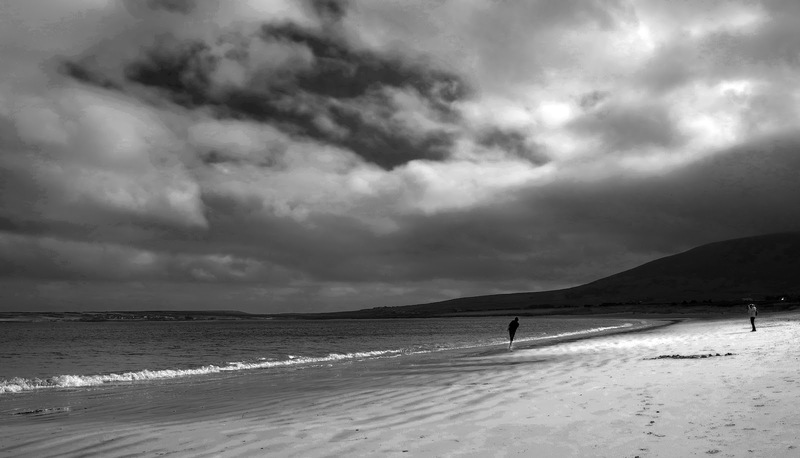 However, today on Ventry Beach I got almost exactly the image I wanted, and now I can go home happy.